I have a love-hate relationship with Target’s Dollar Spot. I love checking it out every time I walk in the store. I hate that I usually find things I need to buy to create new preschool activities! However, my pocketbook’s loss is your gain! I recently discovered some cute alphabet clothespins, and I knew I needed to create some clip cards to go with them. 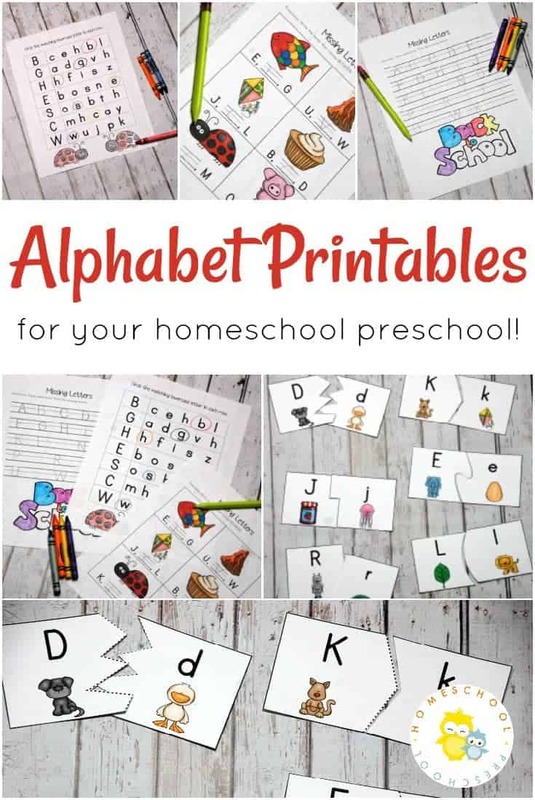 Which is a good thing since many of you told me that you plan to work on letter recognition during the first part of the upcoming homeschool preschool year. I have come up with a great resource to help you kick off a new year. This pack contains six sets of alphabet clip cards. Each set features a different skill making them perfect for preschoolers and kindergarteners. I recommend printing each set of clip cards on cardstock and laminating them for durability. Also, if you don’t have access to the ABC clothespins from Target, you can write each letter with a permanent marker or use an ABC sticker. 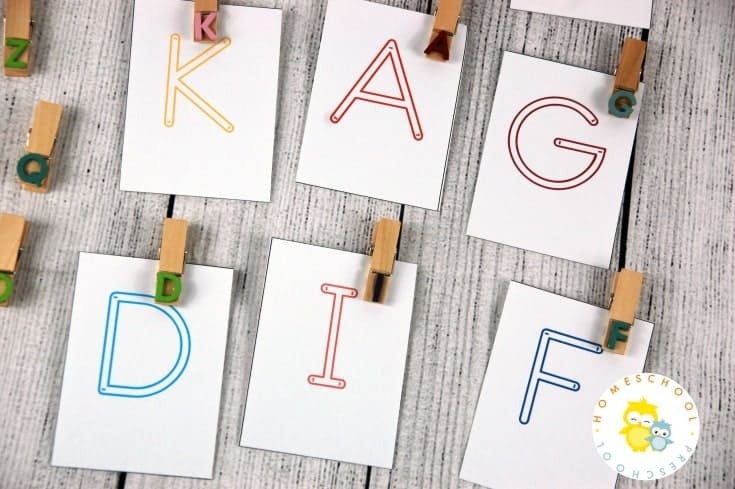 This set of cards focuses on letter identification. Lay the cards out and have your preschooler match a clothespin to each card. 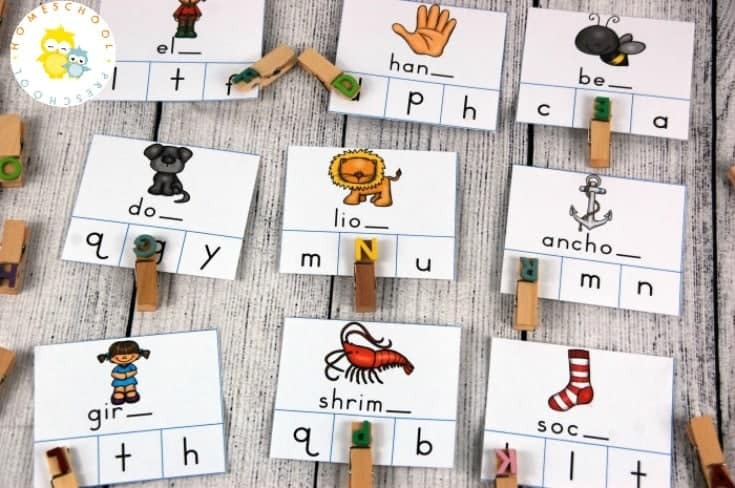 If you’ve laminated the cards, your learner can use a dry erase marker to trace the letters on each card, as well. 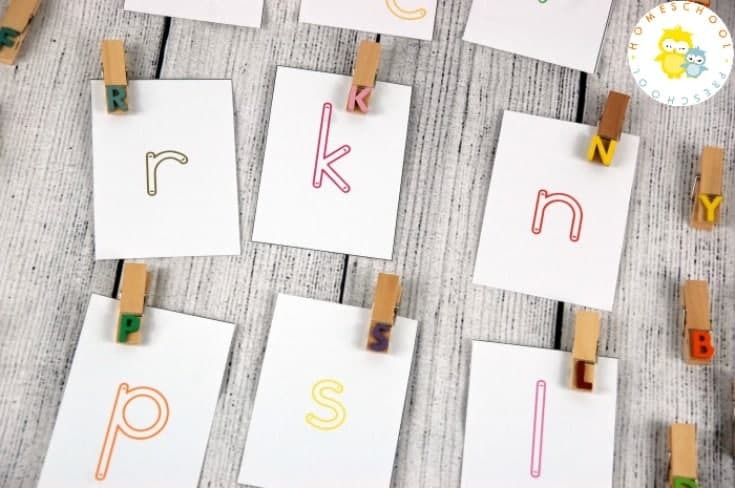 Similar to the activity above, this activity focuses on letter identification. However, this time, students are matching the uppercase letters (on the clothespins) to lowercase letters on each card. 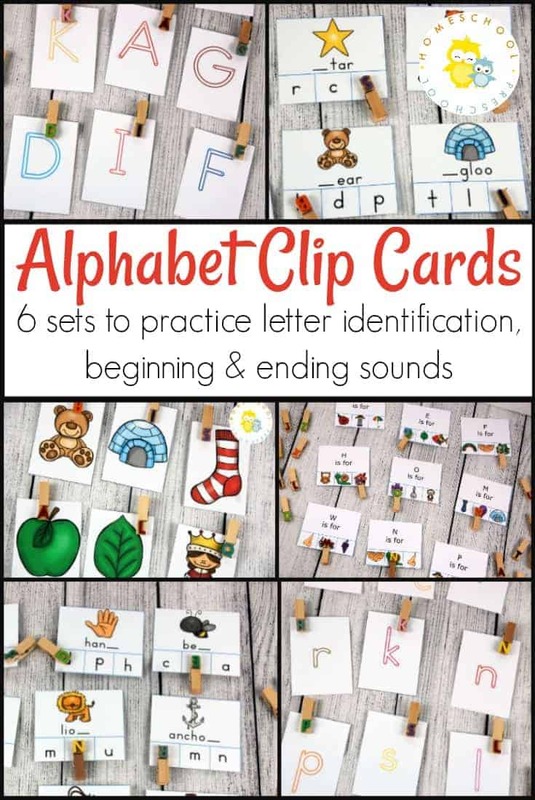 As with the uppercase cards, students can trace the letters if you’ve laminated the cards. This set of cards features pictures only. 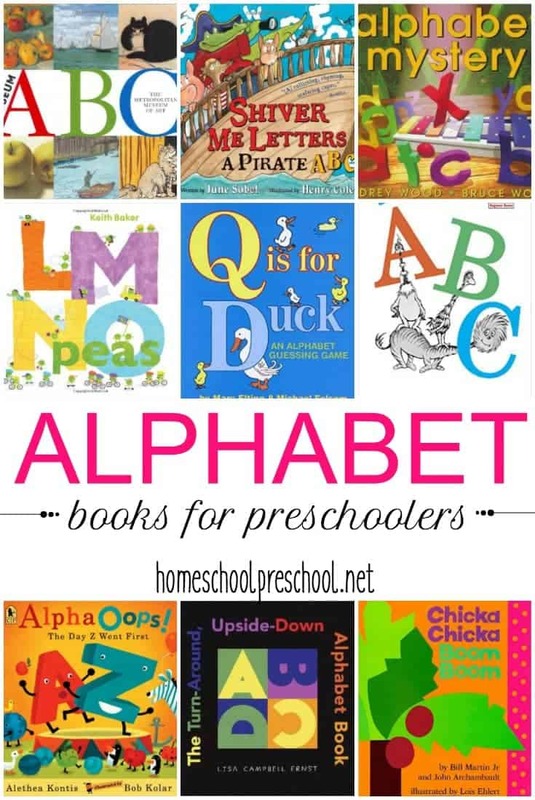 There is one for each letter of the alphabet. 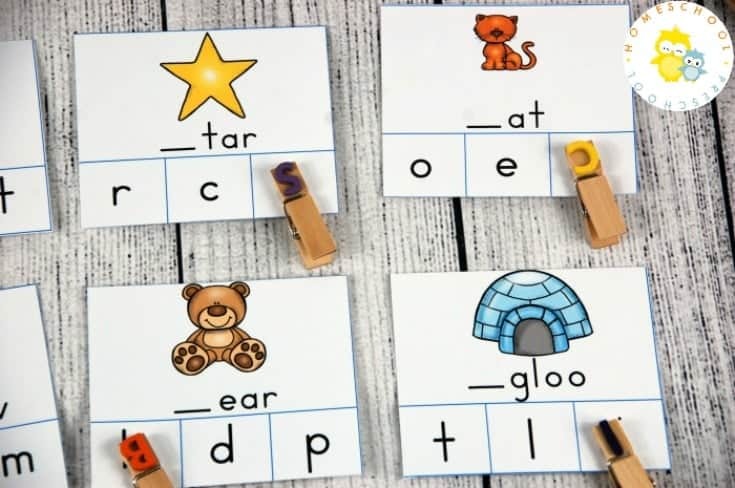 For the vowel cards, I’ve only included short vowel beginning sounds. Have your student name each picture and listen for the beginning sound of each one. Find the letter that says that sound and clip it on. These cards don’t have words on them. This allows students to just focus on the image and its beginning sound. Once kids are familiar with beginning sounds, they become curious about words. 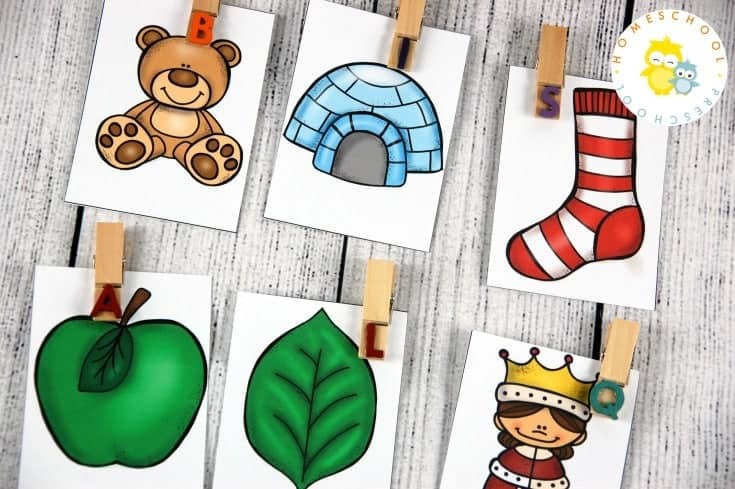 These cards feature an image for each letter along with the picture name with the beginning letter missing. Students will name each image. Again, they’ll focus on the beginning sound. This time, however, they will choose from three letters. Have students clip the letter that matches the beginning sound. This set features an “A is for…” format. There are three images to choose from. Have students name each picture focusing on the beginning sound. Clip the image that begins with the featured letter. Last, but not least, we’ll focus on ending sounds. Please note – there is not a card for every letter of the alphabet. This set features images and words that are missing the ending sound. Kids will name each image this time focusing on the ending sound. Choose the correct ending sound, and clip it! 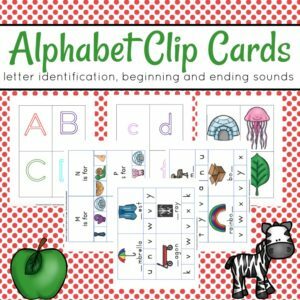 I hope that these cards will help you kick of your new homeschool preschool year with a focus on the alphabet. 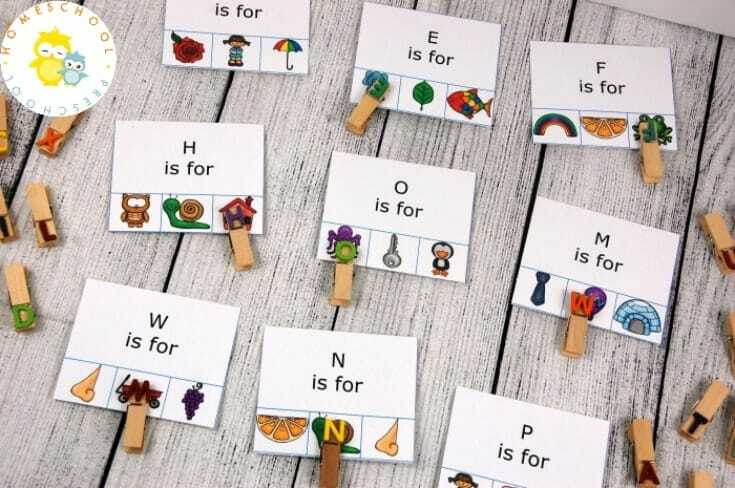 With six sets of alphabet clip cards, each with a different skill featured, this set can be used throughout the entire year! 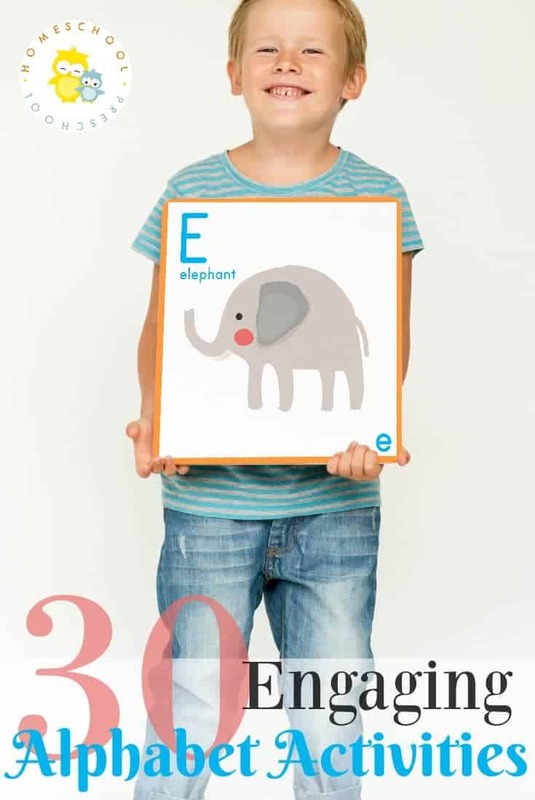 To get your copy of this 38-page alphabet clip cards pack, click the button below.